You are here St. John Health System Heart Institute Services Is Your Heart At Risk? It's time to have a heart to heart. Even if you have no symptoms of cardiovascular disease, you may still be at risk. 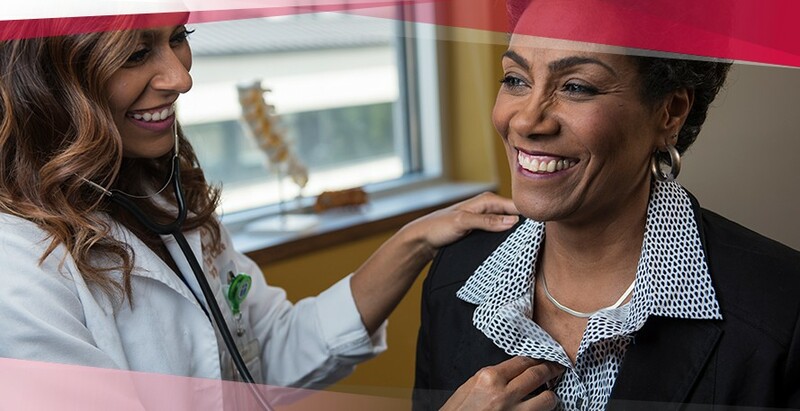 St. John Heart Institute offers simple, non-invasive tests that can detect signs of disease before it's life threatening. Know the risk factors, make smart lifestyle choices, and make time for a simple screening that could save your life. If you have two or more of these risk factors, schedule your cardiac scans today by calling 918-856-5789. No physician referral necessary. Results will be sent to your primary care physician upon request. Find out your risk for heart disease with six screenings offered at the St. John Heart Institute. Plaque in the carotid arteries can reduce blood flow to the brain and may increase the risk of stroke. It is also a marker of heart attack risk. During an internal carotid artery evaluation, an ultrasound probe is placed on your neck to determine the presence of plaque or blockages. An ultrasound probe is placed on your chest to evaluate heart function and calculate your ejection fraction, the amount of blood pumped out of the heart during each beat. Blood pressure is recorded from both ankles and arms to screen for peripheral vascular disease. The Ankle Brachial Index evaluates blood circulation throughout the legs, and is also an indicator of heart attack risk. A noninvasive recording of your heart’s electrical activity, this test uses electrodes to detect overall heart rhythm. Because an ECG is the best way to measure and diagnose abnormal heart rhythms, it’s wise to have a baseline screening around age 40. Abdominal aortic aneurysm is a localized enlargement of the abdominal aorta. Most aneurysms are asymptomatic. However, a ruptured aneurysm is one of the leading causes of death in males over 65, particularly in those who have smoked, have a family history, or those with atherosclerotic vascular disease. An ultrasound is a highly specific, non-invasive test which measures the size of your abdominal aorta. Left untreated, coronary plaque may cause blockages and heart attacks. A multi-slice CT scanner measures the calcified plaque in the arteries that supply blood to the heart, and indirectly measures the total amount of plaque inside the heart by taking a series of pictures in just a few seconds.